Tony is the ANZIC-RC's Research Manager. He joined the ANZIC-RC team in November 2010 as the POLAR-RCT (Prophylactic hypOthermia trial to Lessen trAumatic bRain injury Randomised Control Trial) (JAMA 2018) Project Manager, and was also the Project Manager for the OzENTER-TBI Study. He is a qualified Paramedic (Monash) and Critical Care Nurse, and also holds a BEd (Latrobe). Tony has worked in the critical care environment for over 20 years and spent much of his career as a Clinical Educator in The Alfred Intensive Care Department. He also held the role of Nurse Unit Manager at the Western Health Intensive Care Unit. Amanda is the ANZIC-RC Administration Manager and PA to the Director, Professor Jamie Cooper. With diverse experience both in Australia and in the USA, Amanda has worked in the private, community, local government, health and education sectors, including roles in administration, counselling and dispute resolution. Her qualifications include a Bachelor's degree in Sociology and a Master's degree in Counselling. Lynne is the ANZIC-RC's Business Manager. Her previous roles have included Research Manager at the ANZIC-RC and the Research Centre Manager for the Blood-CRE. She was an Associate Investigator for the POLAR-RCT (Prophylactic hypOthermia trial to Lessen trAumatic bRain injury Randomised Control Trial) Study (JAMA 2018) and the Blood Program, and the Project Manager for the DECRA (DECompressive CRAniectiomy) Trial (NEJM 2011). Lynne has extensive research experience in both basic science and clinical research. Her previous roles include the Clinical Research Manager (Intensive Care) at The Alfred Hospital, Lecturer in Biochemistry at Swinburne University of Technology and Research and Development Officer (Haematology/Blood Bank) at The Alfred. Professor Cooper is Director of the Australian and New Zealand Intensive Care Research Centre (ANZIC-RC); Director of the NHMRC Centre of Research Excellence for Patient Blood Management in Critical Illness and Trauma (Blood-CRE); Head of the Critical Care Division in the School of Public Health and Preventive Medicine, all at Monash University; and Senior Specialist in Intensive Care, Head of ICU Research and Deputy Director of the Department of Intensive Care at The Alfred Hospital, Melbourne. In 2017, he was awarded an Officer of the Order of Australia (AO) for distinguished service to intensive care medicine in the field of traumatic brain injury as a clinician, and to medical education as an academic, researcher and author. He is a National Health and Medical Research Council (NHMRC) Practitioner Fellow, full Professor of Intensive Care Medicine at Monash University and Hon. Professorial Fellow in the Critical Care and Trauma Division at The George Institute for Global Health, University of Sydney. He has published more than 250 journal papers including 18 in New England Journal of Medicine (NEJM), Lancet, Journal of the American Medical Association (JAMA) and Annals of Internal Medicine. He has been a Principal or Co-investigator on peer reviewed research grants exceeding $64 million including 26 NHMRC grants. Research foci include randomised clinical trials in traumatic brain injury, sepsis, acute lung injury, resuscitation fluids, and blood transfusion. Rinaldo Bellomo is a Professor of Intensive Care Medicine, University of Melbourne, Melbourne, Australia; Honorary Professor, Faculty of Medicine, Monash University, Melbourne Australia; Honorary Professorial Fellow, Faculty of Medicine, The University of Sydney, Sydney, Australia; Honorary Professorial Fellow, The George Institute, Sydney, Australia; Honorary Fellow, Florey Institute of Physiology, Melbourne, Australia; Honorary Professor, Faculty of Medicine, Nanjing University, Nanjing, China; and Visiting Professor, Università Vita-Salute San Raffaele, Milan, Italy. In 2018, he was awarded an Officer of the Order of Australia for distinguished service to intensive care medicine as a biomedical scientist and researcher, through infrastructure and systems development to manage the critically ill, and as an author. Professor Bellomo is the Director of Intensive Care Research and Staff Specialist in Intensive Care at Austin Health. He is Co-Director of the Australian and New Zealand Intensive Care Research Centre (ANZIC-RC) – a National Health and Medical Research Council (NHMRC) Enabling Grant-funded methods centre for investigator initiated clinical research that supports >15 staff, >10 PhD candidates, and research programs in traumatic brain injury, sepsis, transfusion, acute lung injury, nutrition and health economics. He is a NHMRC Practitioner Fellow and was Foundation Chair of the Australian and New Zealand Intensive Care Society Clinical Trials Group (ANZICS-CTG). Each year for the past five years (2014-2018), Professor Bellomo has been named one of the world's most influential scientific minds of our time. Clarivate Analytics publishes "The world's most influential scientific minds" based on its analysis of data over the previous 11 years using Web of Science and InCites platforms to determine which researchers have produced work that is most frequently acknowledged by peers. Prof Bellomo is one of the researchers identified as "influencing the future direction of their field, and of the world", "on the cutting edge of their field" and "publishing work that their peers recognize as vital to the advancement of their science". He is also the recipient of a NHMRC Achievement Award and an Austin Health Distinguished Scientist Award. In 2015, Professor Bellomo became the first ANZ biomedical researcher to have more than 1,000 papers in Scopus. He has also written more than 152 book chapters and edited 13 books in the field of intensive care medicine. As at November, in Scopus he had >1,360 papers, an h index of 112, and total lifetime citations of >68,000; and a yearly citation rate over the past 5 years of >2,500. He is the Editor-in-Chief of the journal Critical Care and Resuscitation. Professor Bellomo has been Chief Investigator in many successful grant applications. Over the past 10 years, he has been heavily involved in the design, execution, supervision and publication of several large randomised controlled trials published in The Lancet and the New England Journal of Medicine (NEJM) for >20,000 intensive care unit (ICU) patients randomised. Alistair is a Professor of Intensive Care Medicine in the School of Public Health and Preventive Medicine, Monash University, and an honorary intensivist in The Alfred Hospital, Melbourne. 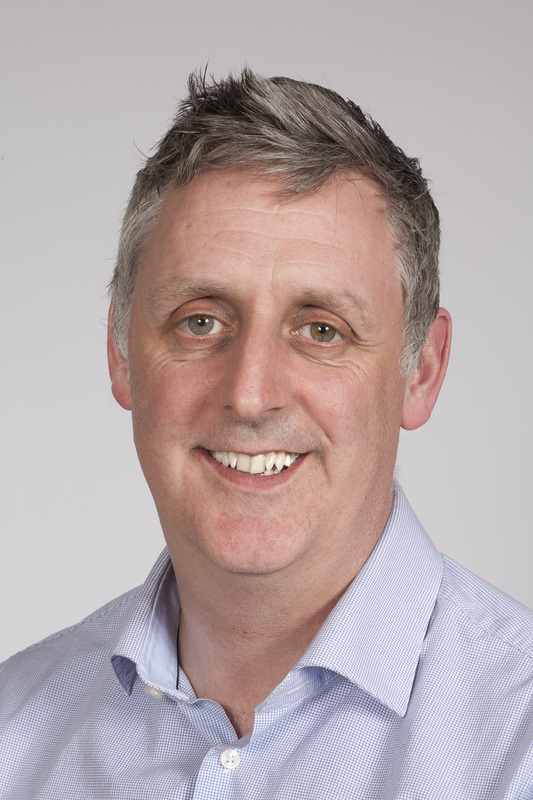 Following completion of a PhD at University College Dublin, Alistair commenced with the ANZIC-RC in 2007 and has worked on a number of its large multi-centre randomised controlled trials. He is actively involved with the POLAR-RCT (Prophylactic hypOthermia trail to Lessen trAumatic bRain injury Randomised Control Trial) and the PHARLAP studies. He was also a Chief Investigator on the now completed EPO-TBI (Erythropoietin in Traumatic Brain Injury) Study. His areas of interest include traumatic brain injury (TBI), acute respiratory distress syndrome (ARDS) and mechanical ventilation. Alistair has completed over 10 years of training in Anaesthesia, Intensive Care and Pain Medicine. He was awarded the Fellowship of the College of Anaesthetists, Royal College of Surgeons Ireland (FCARCSI) in 2002, and the Fellowship of the College of Intensive Care Medicine Australia and New Zealand (FCICM) in 2010. Alistair was also awarded a Victorian Neurotrauma Initiative (VNI) Early Career Practitioner Fellowship. Andrew is Co-Deputy Director of the Australian and New Zealand Intensive Care Research Centre, Monash University, and a full-time intensive care clinician and researcher at The Alfred ICU, Melbourne. He completed his undergraduate medical education at the University of Auckland, followed by ICU training in New Zealand, the United Kingdom and Australia. After award of Fellowship, Andrew worked as a consultant for many years in Queensland, while also completing a PhD in antibiotic pharmacokinetics. His major academic interests include optimised drug prescribing in the critically ill, haemodynamic management in severe sepsis, acute kidney injury and renal replacement therapy, management of subarachnoid haemorrhage, and critical care nutrition. Andrew is involved in critical care research internationally as the Victorian representative on the ANZICS Clinical Trials Group (CTG) Committee. He is also a keen educator, instructing on BASIC, ALS, ECMO and EMST courses, and is Deputy Chair of the Victorian Regional Committee (VRC), College of Intensive Care Medicine. Professor Carol Hodgson is Co-Deputy Director of the Australian and New Zealand Intensive Care Research Centre in the Department of Epidemiology and Preventive Medicine, Monash University, and a Heart Foundation Future Leader Fellow. She has over 20 years' experience as a senior ICU physiotherapist, and her particular area of expertise is early interventions to improve long-term functional recovery after critical illness. She has an international reputation for contributions to research and their translation into international practice guidelines, and has been an invited speaker to over 50 conferences in the past five years. Carol is on the editorial board of the Journal of Physiotherapy and a past board member of the Intensive Care Foundation of Australia and New Zealand. She has held senior ICU Physiotherapy roles at several of Melbourne's major hospitals, most recently as a specialist ICU physiotherapist at Alfred Health where she still maintains a clinical role. Carol leads ICU research projects across Australia and New Zealand, with international sites in the UK, Ireland, Germany and Brazil. These include the TEAM trial, the EXCEL ECMO Registry and the PREDICT study. She sits on the consumer and community engagement committee of Monash Partners, and promotes the use of patient-reported outcomes to inform her research. Prof Steve Webb is a Senior Staff Specialist in Intensive Care Medicine at Royal Perth Hospital and a Professor of Critical Care Research in the School of Public Health and Preventive Medicine at Monash University. He also holds adjunct Professorial appointments at the University of Western Australia and The George Institute for Global Health. Steve is a trialist who designs and conducts clinical trials that provide definitive guidance on optimal management for patients with various forms of critical illness. He is a recipient of more than $80M in research funding and has published more than 140 original journal articles including manuscripts in the NEJM (4), JAMA (1), Lancet (2), and BMJ (1). He is a past-Chair of the ANZICS Clinical Trials Group. He is the Vice-Chair of the International Forum of Acute Care Trialists, and a member of the Executive of the International Severe Acute Respiratory Illness Consortium. He is a founding Director of the Australian Clinical Trials Alliance, a foundation Fellow and a member of Council of the Australian Academy of Health and Medical Sciences, and a member of the NHMRC Health Translation Advisory Committee. His clinical research interests include pandemic preparedness, pneumonia, the long-term consequences of and recovery after critical illness, resuscitation and treatment of patients with septic shock, management of traumatic brain injury, pathogenesis of septic shock, antimicrobial therapy, acute kidney injury, sedation and prevention of delirium, and choice of intravenous fluids in critically ill patients. He is a lead investigator of SPRINT-SARI (Short Period Incidence Study of Severe Acute Respiratory Infection) and REMAP-CAP (Randomised, Embedded, Multifactorial, Adaptive, Platform Trial of Community Acquired Pneumonia). He has particular interest in novel and more efficient trial methods including Platform Trials using Bayesian statistical methods and cluster-crossover trials, as well as the interface between clinical trials and healthcare policy. Michael is a researcher specialising in Intensive Care. He has completed a Master's degree in statistics and a PhD in mathematical modelling. Michael has been employed as a biostatistician with Monash University for more than 20 years. His background in medical research prior to Intensive Care was founded on a decade as the principal statistical consultant for one of the largest tertiary and research hospitals in Australia, providing him with a diverse and thorough understanding of medical statistics. In 2007 he was appointed as the biostatistician for the Australian and New Zealand Intensive Care Research Centre (ANZIC-RC), and in 2016 promotion to Professor. Since commencing with the ANZIC-RC, Michael has become the most heavily published intensive care statistician in the world, and amongst the top 10 most published Intensive Care authors in the world. His reputation has been built on rigorous analyses resulting in robust findings that are heavily cited by his peers (>20,000 citations). His research output is prolific, having authored >450 peer reviewed publications with >60 as lead or senior author. These manuscripts are consistently published in the highest impact journals (15 publications in the New England Journal of Medicine, The Lancet and JAMA). His h-index is 70 and his i10-index is 270. He has been the principal statistician for >50 successfully funded NHMRC studies worth >$70 million. Michael has provided statistical direction and guidance to >130 PhD students. Michael is on the editorial board of 2 international journals, is a reviewer for a further 15 journals, and has provided statistical review for >300 publications. Daryl is an Associate Professor of Intensive Care Medicine in the School of Public Health and Preventive Medicine at Monash University. In 2015, he completed his PhD thesis entitled "The Rapid Response Team: Patient characteristics and resource implications" under the supervision of Professors Rinaldo Bellomo and Graeme Hart. The first area of investigation involved assessment of the uptake of MET services in intensive care unit (ICU) equipped hospitals in Australia and New Zealand, particularly in relation to published literature supporting their effectiveness. In conjunction with the Australian Commission for Quality and Safety in Health Care (ACQSHC) and Australian and New Zealand Intensive Care Society Centre for Outcomes and Resources Evaluation (ANZICS-CORE), a 40 hospital study was conducted to assess: 1) the changes in MET call rates with time, and 2) the in-hospital mortality of MET patients in comparison to hospitalized patients. The second major area of the PhD involved assessment of the epidemiology of the MET patient. A seven hospital study was completed to perform a detailed analysis of the role of METs in end-of-life care planning in hospitalized patients. It also assessed the circadian activation of MET calls to confirm or refute the findings seen at the Austin Hospital. Finally, the thesis included several reviews related to MET systems and the broader concept of deteriorating patients. This thesis has provided new insights into the causes and outcomes of deterioration in hospitalized Australian patients, and will lead to strategies to improve the outcomes and safety of hospital admissions. Dr Zoe McQuilten is a consultant haematologist and an ANZIC-RC Associate Professor working with the Blood CRE. Zoe is an investigator on the TRANSFUSE RCT, an Associate Investigator on the Blood-CRE and is also an investigator on the Massive Transfusion Registry. Zoe completed her PhD in 2015 in the area of transfusion medicine, and has previously been a Clinical Research Fellow with the Australian Red Cross Blood Service. Zoe was awarded Fellowships of the Royal Australasian College of Physicians (RACP) and the Royal College of Pathologists of Australasia (RCPA) in 2010 and has current appointments at St Vincent's Hospital Melbourne and Monash Health. Emma is a Senior Research Fellow at the ANZIC-RC, Monash University where she leads the Nutrition Program, and a Senior Clinical Dietitian in ICU at The Alfred Hospital. Emma completed her PhD in 2018 entitled “Clinical and functional consequences of energy provided by nutrition in critically ill adults”. Current research interests include understanding the optimum way to determine energy requirements in the critically ill, including the clinical application of indirect calorimetry, as well as the effect of optimal nutrition delivery on short and long-term outcomes in ICU patients. Emma was named as a Finalist in the ‘Clinical Research’ category of the 2019 Premier’s Awards for Health and Medical Research for the work and outcomes within her PhD. She has authored 32 peer-reviewed publications, (including in the New England Journal of Medicine) and regularly delivers invited national and international presentations. Emma has been a named investigator on $6.3 million of research funding with the teams she collaborates with and is the CIA on the INTENT trial that is investigating a whole hospital nutrition intervention in critically ill patients (NCT03292237). Glenn is a Chief Investigator for the Targeted Therapeutic Mild Hypercapnia After Resuscitated Cardiac Arrest randomised controlled trial (TAME Cardiac Arrest Trial). Dr Eastwood holds a Research Doctorate (PhD) with Deakin University in research dedicated to oxygen therapy for patients at risk of respiratory dysfunction. His research program is focused on the impact and outcome of gas management (oxygen and carbon dioxide) in critically ill patients and he has published widely in this area. Glenn also currently manages the Intensive Care research program at the Austin Hospital and is widely acknowledged as a leading research coordinator within the Australian and New Zealand Intensive Care Society - Clinical Trials Group (ANZICS-CTG). In addition, he is the Vice-Chair of the Australian and New Zealand Intensive Care Research Coordinator Interest Group (IRCIG), an Australian College of Critical Care Nurses (ACCCN) member, and a peer reviewer for Australian Critical Care, Critical Care, Critical Care and Resuscitation and the Journal of Clinical Nursing. Tomoko is a Senior Research Fellow at the ANZIC-RC. She is co-managing a phase II multicentre randomised controlled trial of metabolic support in patients with septic shock, under the supervision of Professors Rinaldo Bellomo and Andrew Udy. In 2018, Tomoko was a visiting researcher at the ANZIC-RC. In Japan, Tomoko was a Research Fellow with the Japan Society for the Promotion of Science. She obtained her MD from the Faculty of Medicine at the University of Tokyo, Japan, in 2007. In 2016, Tomoko was presented with the Best Investigator Award at Kyoto University for the Master of Clinical Research. She has been an invited speaker at international meetings including the Annual Conference of the European Society of Intensive Care Medicine (ESICM). Lisa has a background in intensive care physiotherapy, and previously worked as an intensive care research coordinator at The Alfred Hospital in Melbourne. More recently she worked at the NHMRC Clinical Trials Centre at the University of Sydney conducting systematic reviews and economic evaluations in addition to teaching epidemiology and biostatistics to Master in Public Health (MPH) students. Lisa has an MPH majoring in epidemiology and biostatistics and a Graduate Diploma in Biostatistics. She recently commenced a PhD in the economic analysis of resuscitation in sepsis. Emma works as a Research Fellow on the CENTER-TBI project, a multinational European project that aims to improve the care of patients with TBI. In this role she provides intensive methods support to novice author teams as they prepare and publish living systematic reviews in various TBI topics. Emma joined ANZIC-RC in April 2016, and has previously had various roles in organisations such as the Cochrane Collaboration, the National Trauma Research Institute, NHMRC, NICE (UK), and the AIHW. Emma has a Masters of Public Health, and Masters of Music Therapy. Eldho is a Biostatistician with the ANZIC-RC and a Research Fellow in Monash University's Department of Epidemiology and Preventive Medicine. In 2018, Eldho completed his PhD, "Improving mortality prediction in Australian and New Zealand intensive care units", under the supervision of Professors Michael Bailey and David Pilcher. Oana is a Dietitian working at the ANZIC-RC on a part-time basis, assisting with research projects being completed within the nutrition program. Oana is currently completing her PhD at La Trobe University, with the focus area of her research on the measurement of segmental intestinal permeability in critically ill patients and healthy adults. She has previously been involved in projects exploring energy requirements in patients receiving ExtraCorporeal Membrane Oxygenation, and has an interest in gastrointestinal dysfunction during critical illness, as well as the use of indirect calorimetry in guiding nutrition delivery. Kate has over 10 years’ experience working as a clinical dietitian and has a special interest in ICU nutrition, nutrition support and body composition analysis. Kate is a PhD candidate at La Trobe University, with a research focus on the evaluation of bedside methods to assess skeletal muscle mass in critically ill adults. Kate is assisting with research projects within the ANZIC-RC nutrition program in a part-time capacity. Belinda joined the ANZIC-RC in 2009 as an ANZIC-RC Research Fellow and Project Manager. The last decade has seen her manage multiple and varied research projects to successful completion with particular expertise in managing large, complex, international RCTs. She is currently the Project Manager for two NHMRC-funded studies. The first, the SPICE-EGDS RCT, which is the largest RCT of sedation practices in the world. The second is the CLIP II study, Cryopreserved v Liquid Platelets for Surgical Bleeding, a collaboration of the ANZIC-RC with the Australian Red Cross Blood Service, ANZICS CTG, ANZCA CTN, TRU at Monash University and supported by the Australian Defence Force. She previously managed the SPICE observational study and the SPICE pilot study. She was the Project Manager for the STATINS (STATINS in Sepsis) and the unblinded monitor for the EPO-TBI RCT. She was Project Manager for the INFINITE Registry, a register of Influenza A and pandemic H1N109 cases in intensive care units (ICUs) for Australia and New Zealand. This was the only bi-national whole of population register during the H1N1 pandemic of 2009. The ARISE-RCT (Australasian Resuscitation In Sepsis), the largest study of early goal-directed therapy, was successfully completed under her management and she was also involved in the harmonisation of the international trials of early goal-directed therapy for severe sepsis and septic shock which resulted in the individual patient data meta-analysis (IPDMA) of the EGDT trials. Belinda has an extensive background in critical care nursing and worked as a research coordinator in ICU for over 10 years. Belinda has a Master's degree in Public Health. In addition, she is a past Chair of the ANZICS Intensive Care Research Coordinator Interest Group (IRCIG), past ANZICS Clinical Trials Group executive committee member, and she implemented the IRCIG mentor program for research coordinators in ANZ and the IRCIG Terms of Reference during her tenure as chair. She is a member of the Australian College of Critical Care Nurses (ACCCN) and past member of the ACCCN Research Advisory Panel. Due to her expertise in research methodology, she is a sought-after reviewer. She is a peer reviewer for the ANZICS CTG and a member of the Scientific Review Committee for the Intensive Care Foundation. Currently, she represents the ANZIC-RC on the ANZICS CTG Point Prevalence Program and is an abstract reviewer for the 2019 World Congress of Intensive Care Medicine. Victoria joined the ANZIC-RC team in January 2012 as the PHARLAP-RCT Project Manager and is now the Project Manager for the INTENT Study. Prior to her work at the ANZIC-RC, Vic was an Intensive Care Unit Research Coordinator at The Alfred Hospital. She has a clinical background in Critical Care Nursing, and completed her Master's degree in Public Health in 2013. Eliza joined the ANZIC-RC team in November 2018 as the INTENT Project Manager (Acting). She has over 7 years’ experience in nutrition and clinical research with 6 years of project management experience. Eliza completed her PhD in 2017 where she examined the effects of a nutrition and exercise intervention on body composition, glycaemic control, systemic inflammation and a range of other cardiovascular health outcomes in older adults diagnosed with a non-communicable disease. She has published many articles throughout her career and has presented her research and findings at national and international conferences. Her main research interests are in randomised controlled nutrition intervention studies in clinical populations. Additionally, she is also interested in knowledge translation methods and the development and implementation of strategies which address the gap between research data, use of the research evidence, and development of evidence informed clinical-, and policy-based practice and service delivery. Prior to joining the ANZIC-RC, Eliza was the Project Manager for the seventh wave of data collection on the longitudinal Childhood to Adolescence Transition Study (CATS) at the Murdoch Children's Research Institute. CATS is a globally unique study focusing on the mental, physical and emotional development of over 1,200 metropolitan-Melbourne children as they transition through the middle years of school (8-14 years). The experience Eliza gained in this population health based position uniquely complemented and extended her prior learning and professional experience in clinical health research. Bridget is currently the Project Manager for the TAME study. She joined the ANZIC-RC team in February 2012 as the TRANSFUSE-RCT (Standard issue tranfusion versus fresher red blood cell use in intensive care - randomised controlled trial) Project Manager. Prior to this, Bridget was employed as a Haemotology Unit Research Coordinator at St Vincent's Hospital. She has a Master's degree in Clinical Research Methods. Jane is currently the REMAP-CAP Australia Project Manager. She joined the ANZIC-RC as a Project Officer for the TARGET Randomised Control Trial. Jane is a registered nurse with a keen interest in health outcomes and using data to inform research and policy development. Jane previously worked for the Australian and New Zealand Intensive Care Society (ANZICS) with the Centre for Outcome and Resource Evaluation (CORE) coordinating the ANZICS Critical Care Resources (CCR) Registry. Jane also works as a Registered Nurse at Western Health, and has recently commenced a Master's degree in Public Health at The University of Melbourne. Janani joined the ANZIC-RC team in March 2017 as the TEAM (Treatment of invasively ventilated adults with Early Activity and Mobilisation) Project Manager. Prior to this role, she worked as a Clinical Trial Manager at the Peter MacCallum Cancer Centre where she managed a large number of oncology trials over an extensive period of time. Janani has strong experience in data management and project management of clinical trials from both working in the industry and research institutions. She has a Master of Public Health, specialising in Epidemiology and Biostatistics. Vanessa commenced at the ANZIC-RC in 2014 as an Admin and Research Officer. She has been a Project Manager for both the TRANSFUSE and TAME Trials. Vanessa has experience working in Fiji and New Zealand, largely for academic institutes in the area of distance learning and health research. She has had roles in administration, electronic publishing, real estate advertising and clinical data management. Her data management experience includes working on randomised controlled trials related to heart health, health IT (mobile technologies), nutrition and exercise, addiction and aged care. Natalie is currently the Project Manager for the EXCEL study. She joined the ANZIC-RC in March 2017 as the Project Officer for the ICU-ROX trial (Intensive Care Unit Randomised Trial Comparing Two Approaches to Oxygen Therapy). Natalie was also the Project Officer for the PREDICT study (a registry in critically ill patients to determine predictors of disability-free survival). She continues to work as a Clinical Nurse Specialist at The Alfred ICU where she is completing her Masters of Nursing in Research. Natalie has experience in industry, having previously worked in the United Kingdom for medical companies Vygon and Smith & Nephew. Daniel joined the ANZIC-RC team in February 2018 as a placement student for 40 weeks as part of his Honours degree whilst studying at RMIT. Throughout his placement and Honours year, Daniel project managed an International Delphi study to develop a core outcome set for ECMO research. He has a keen interest in patient outcomes and ECMO research on patients with acute respiratory and heart failure. After his placement year, Daniel was employed by the ANZIC-RC as the Project Officer for EXCEL (A comprehensive national registry on the treatment and outcomes of patients requiring ECMO). He previously worked as a laboratory technician at the Gene Technology Access Centre (GTAC), and has completed his Bachelor of Science (Biotechnology), Bachelor of Biomedical Science (Pharmaceutical Sciences) (Honours). Jo is currently managing the EPO-TBI Long-Term Follow-Up Study which aims to examine long-term outcomes of erythropoietin in patients with moderate to severe traumatic brain injury. She joined ANZIC-RC in November 2017 to provide methods guidance for researchers undertaking living systematic reviews within CENTER-TBI, a large European project focused on improving care for patients with traumatic brain injury. In 2010, Jo completed a PhD on factors that influence quality of life in individuals diagnosed with an acoustic neuroma. Over the past decade, Jo has coordinated and undertaken health services research in the Australian public and private healthcare sectors. This has included roles with the Department of Psychiatry, Monash University and the Cabrini Institute. She is passionate about research methods to promote evidence-based medicine and has particular interests in research on health psychology, traumatic brain injury, and the relationship between quality of life and chronic health conditions. Also within the School of Public Health and Preventive Medicine, Jo is employed with Cochrane Australia as a Research Fellow and Acting Lead of the Living Evidence Network. For her contribution to research student supervision, she holds an Honorary Fellow position with the School of Psychology, Deakin University. Jo is a past member of the Cabrini Health Human Research Ethics Committee and the Psycho-Oncology Co-operative Research Group Scientific Advisory Committee. Liadain has 18 years nursing experience, 13 years of those working in intensive care. She has worked at the Alfred hospital intensive care unit for the past 6 years in various roles such as clinical nurse specialist, associate nurse unit manager and trainer for the electronic medical record system. In 2017, she completed a Master in Public Health (MPH) with a focus on research. Following completion of her MPH, Liadain commenced as a research assistant with Monash University on the Pre-hospital Anti-fibrinolytics for Traumatic Coagulopathy and Haemorrhage (PATCH) study, ICU-ROX study and long-term follow-ups for the Erythropoietin in Traumatic Brain Injury (EPO-TBI) Trial. Liadain commenced her role as project manager for the BLENDER trial in November 2018. Camila joined the ANZIC-RC in March 2019 as the PATCH Project Manager. She completed her PhD in 2014 where she investigated the effect of exercise training in an animal model of traumatic spinal cord injury. After completing her PhD, she worked as a Postdoctoral Research Fellow at the University of Melbourne where she was responsible for managing a government funded, multi-centre clinical trial of hypothermia and emergency decompression surgery for the acute treatment of spinal cord injury. She has published several papers in the area of neurotrauma and has won awards for her research. Her overarching research interest is development of strategies to improve acute care for people suffering traumatic injuries. Lonni joined ANZIC-RC in 2018 as a Research and Administration Officer supporting Project Managers across most studies. With diverse work experience both in Australia and overseas, Lonni has worked in finance, software sales and teaching in classrooms. Fascinated by the big questions, Lonni is currently completing a BA in Philosophy and Psychology at Monash University.